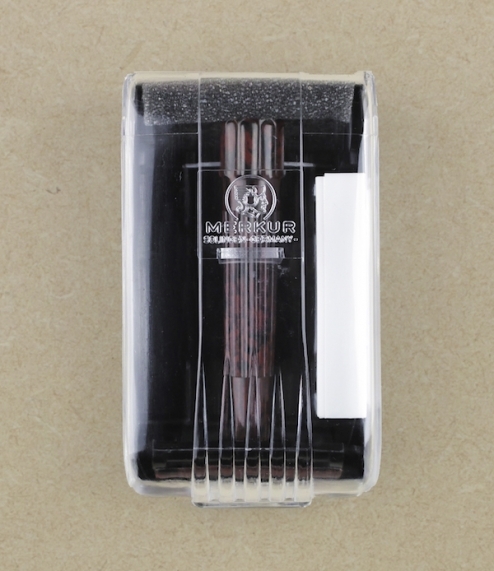 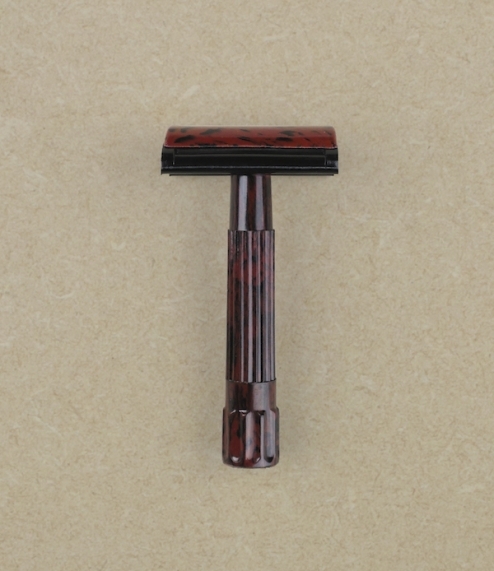 A strong yet lightweight double edged safety razor manufactured from marbled red and black Bakelite by Merkur of Solingen, Germany. 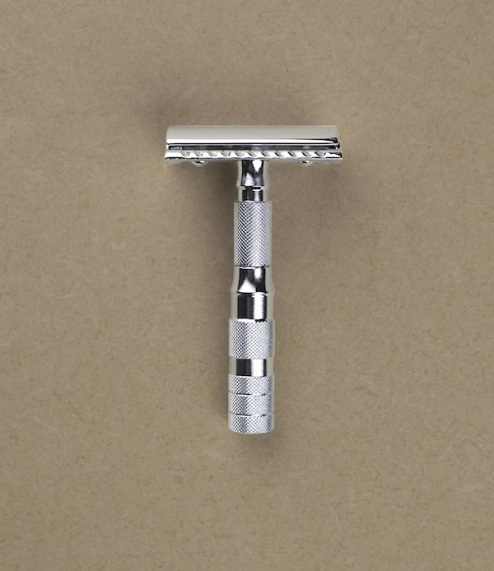 Since the early 1900s the company of Emil Hermes has been producing what are now recognised as some of the worlds finest safety razors and shaving accessories. 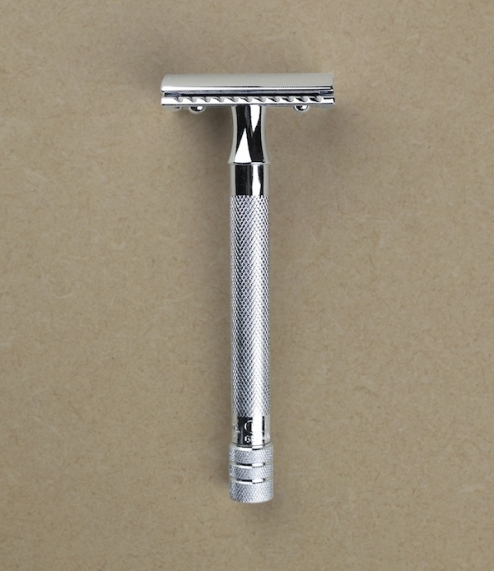 Cast in the classic three piece design, the razor is supplied in a protective plastic container complete with a pack of ten blades, compact, lightweight, and self contained it makes an ideal travel companion.